Kirk Nix Collection. 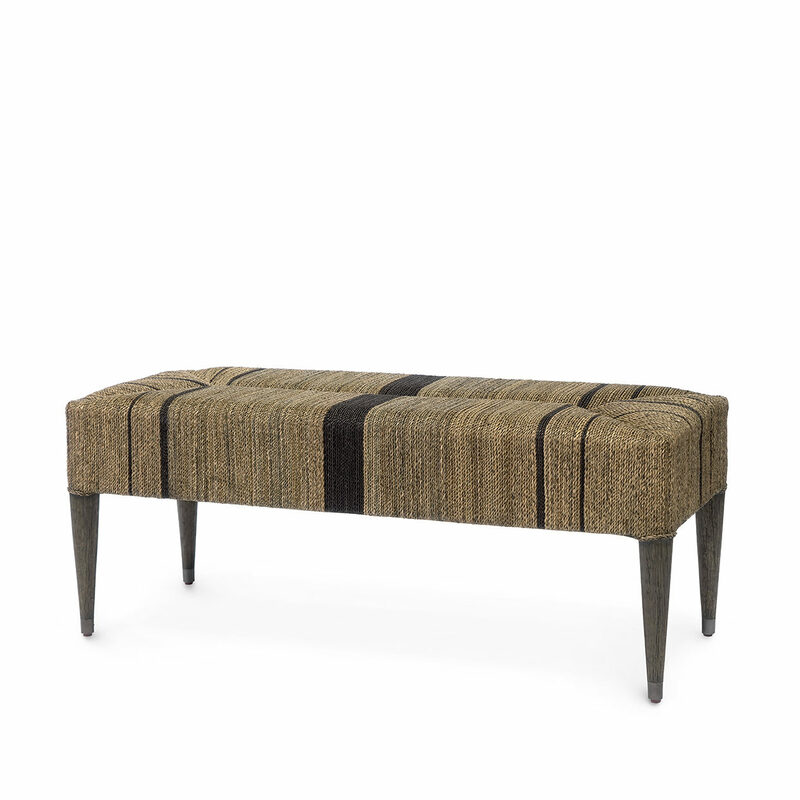 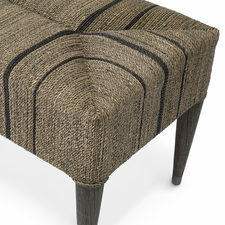 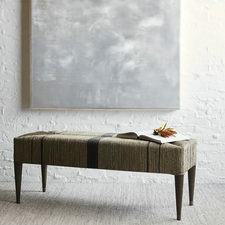 Hardwood frame and legs in grey with pewter finish metal foot caps feature hand-twisted lampakanai rope in a grey finish with black stripe detail. Coordinates with the Fritz Rope collection.